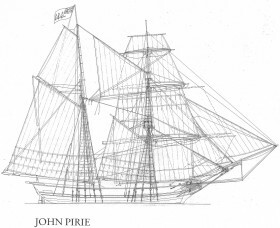 The John Pirie was the smallest of the nine ships that sailed for South Australia in 1836. It was just 19 metres long! By comparison, today an articulated bus is 17 metres long. 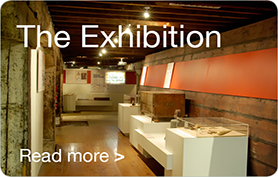 It was named after the London merchant and alderman John Pirie who owned half of the shares in the vessel. The other half were owned by a group of investors from Macduff in north-eastern Scotland. 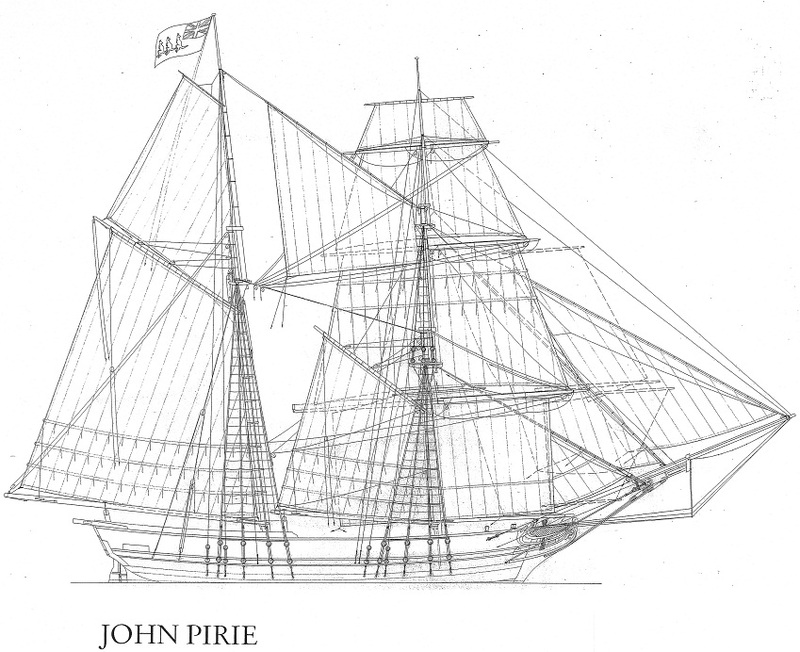 Reconstructed plans of the John Pirie, courtesy of Bob Sexton, 2011.